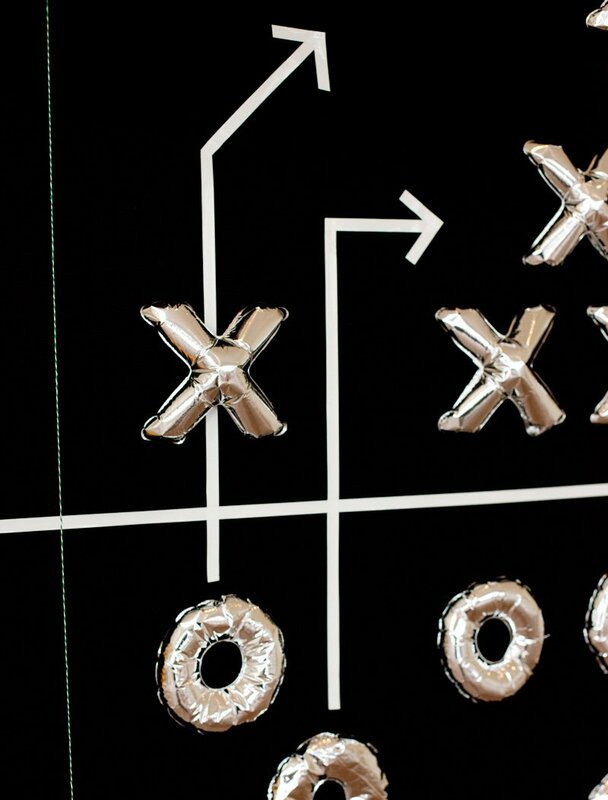 During a recent football party brainstorming session, my husband and I came up with this fun idea for creating a giant Football Play Inspired Wall Backdrop made out of mylar balloon X’s and O’s! I used the small 7″ mylar balloons and 8-player teams for this diagram to keep the design reasonably sized for a house party, but am already thinking it would be pretty darn cool to recreate this on a HUGE scale for a large event using the 16″ balloon letters too! 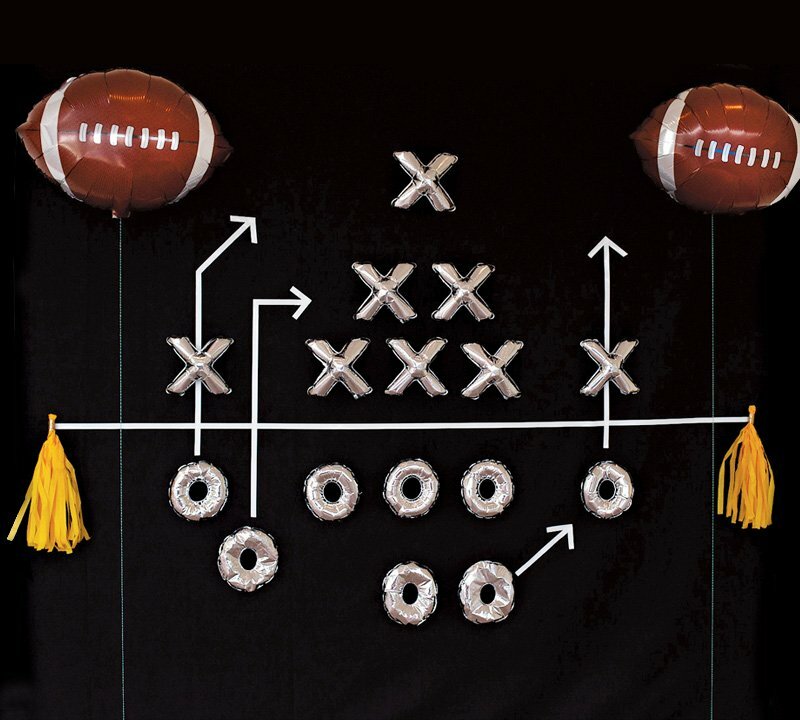 This backdrop would work well as a themed photo booth or behind a football party food/drink table, and the key elements are nice and simple: black fabric (I used an inexpensive shower curtain from Target), small letter balloons, and white label tape used to “draw” the “route” arrows & divider line. 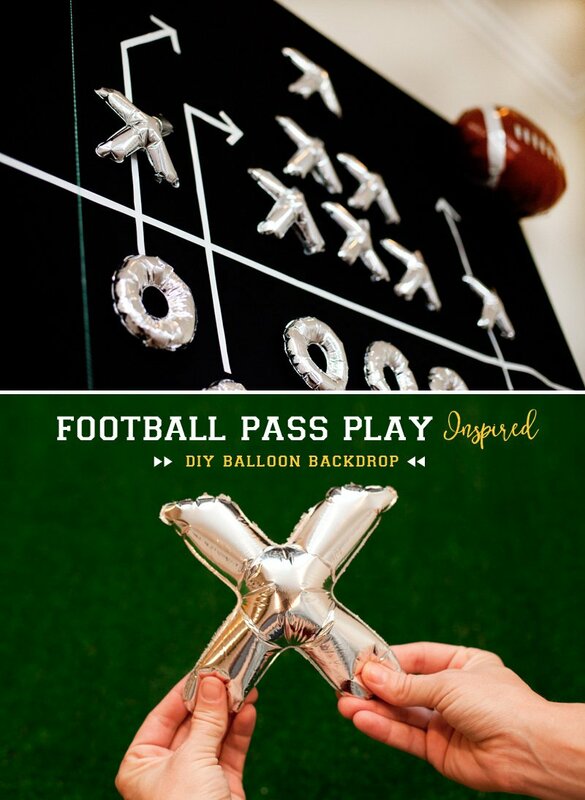 The diagram is flanked with two 18″ mylar football balloons filled with Balloon Time helium, who I partnered with to bring you this fun DIY! 1. Hang backdrop material. Be sure to iron it first to remove any excess wrinkles. 2. 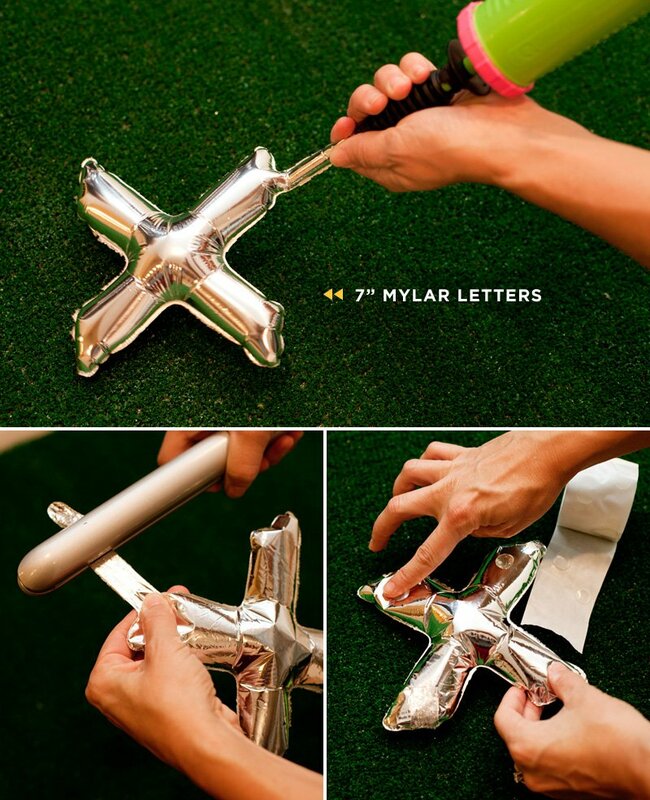 Fill the letter balloons with air, using a hand pump. 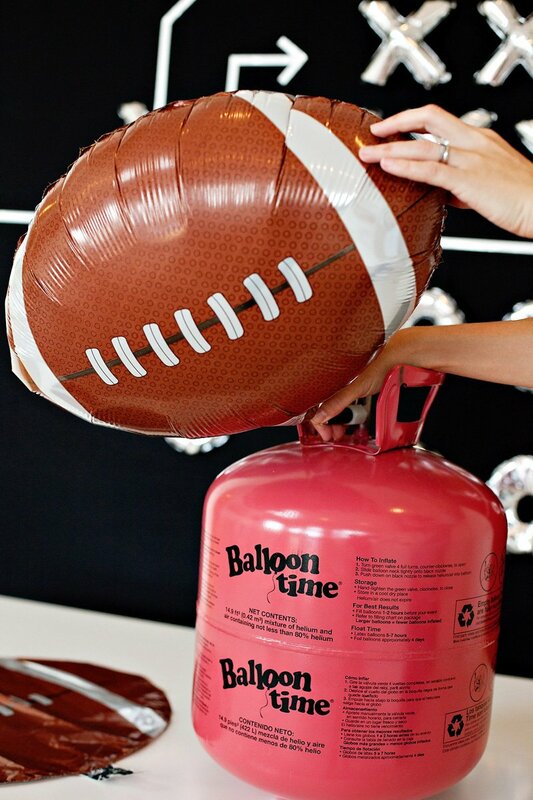 Carefully pinch the flap to keep air from escaping, then heat seal the balloon with a flat iron hair straightener or heat sealing tool. (I had my flat iron set to 380º.) Tape the flap to the backside of the balloon to hide it. 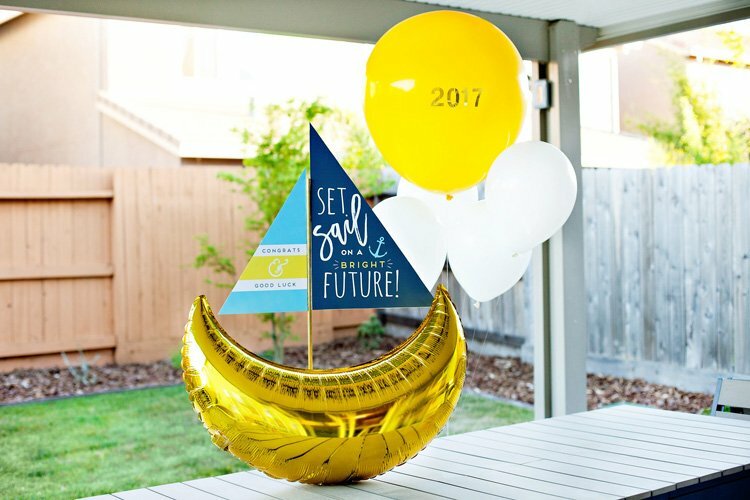 Repeat with all the letter balloons + add a couple glue dots to each one to prep them for hanging. 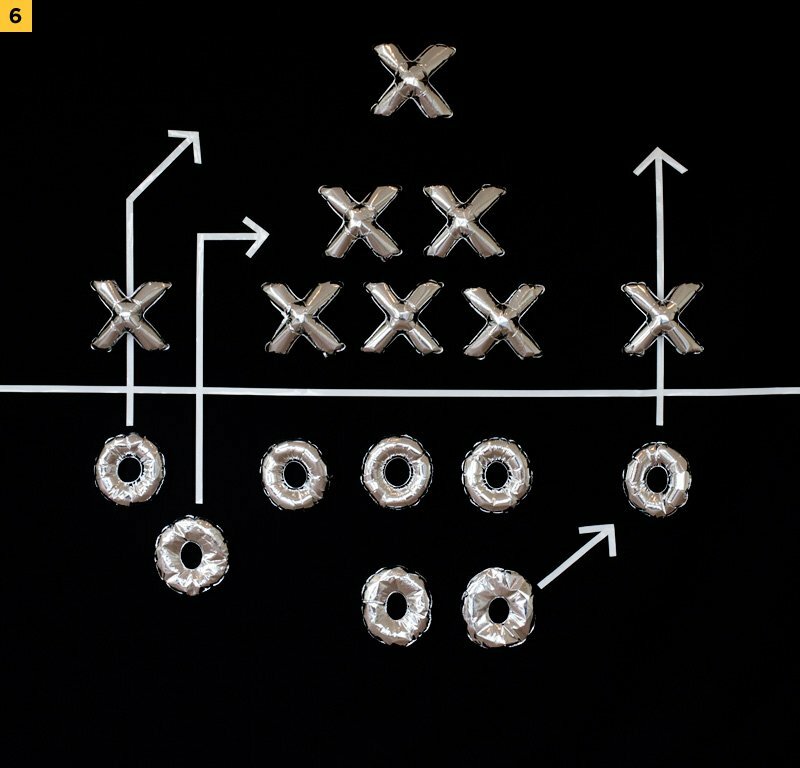 Start with your offense first… and add three O’s to the center (these would be the linemen), as shown above. 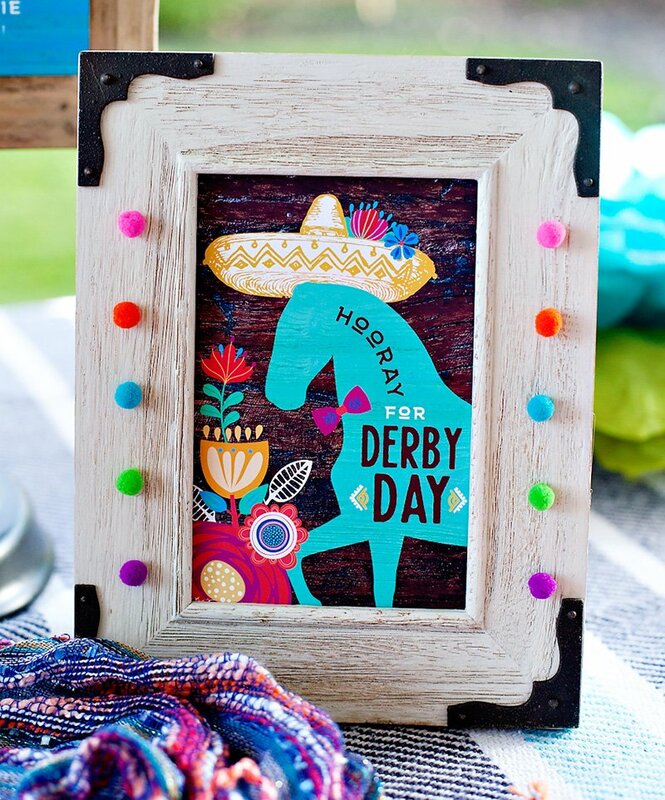 Next, add an O on each side of the first group, bookend style. 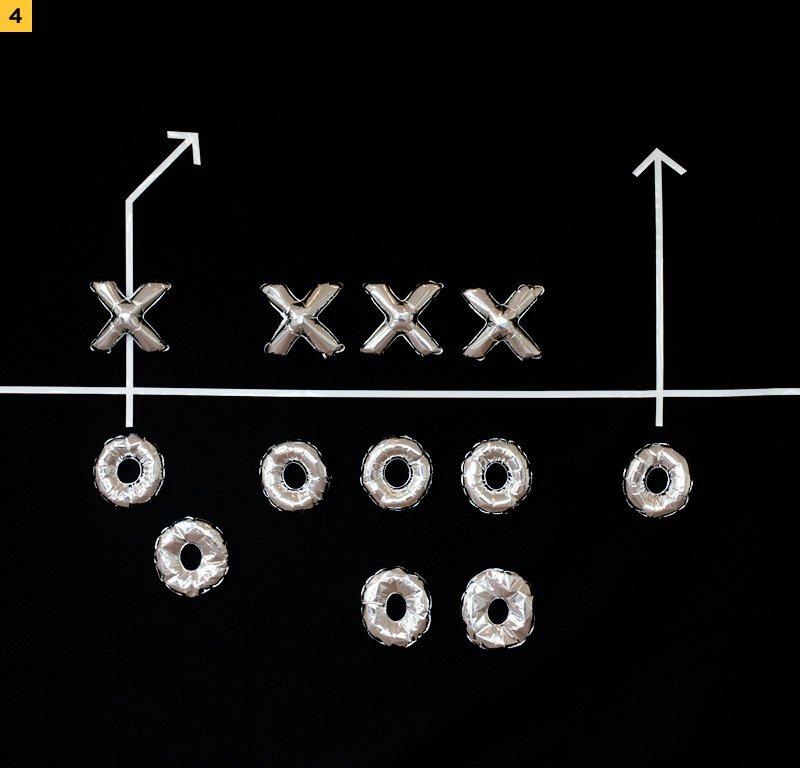 Then, add 3 more O’s below the first 5, with the one directly behind the center representing the quarterback. Now add 3 X’s (defense) above the divider line. I also used white label tape to create the arrow for the first receiver route here. 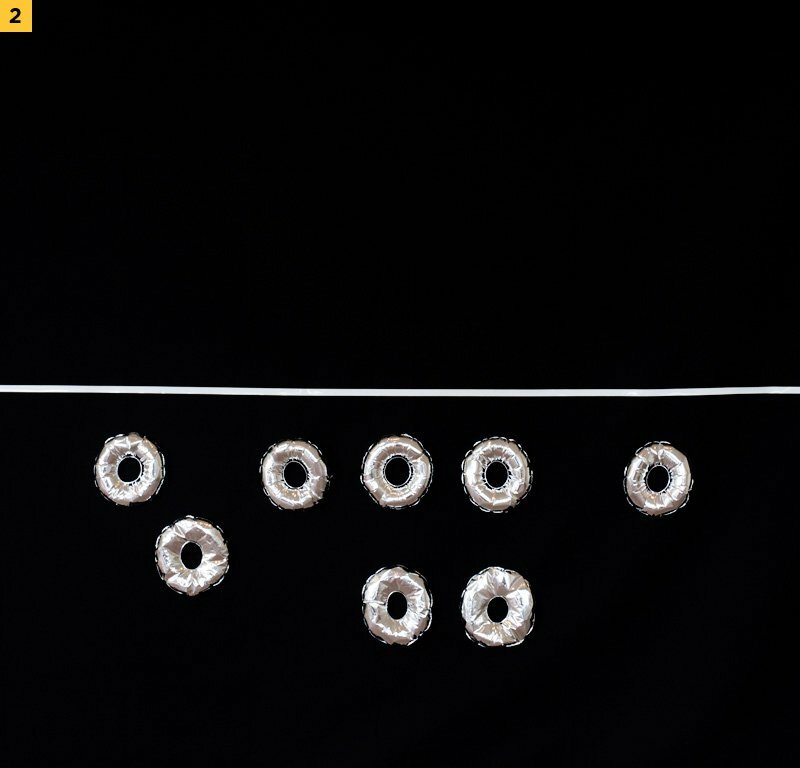 Now you can put another defender (X) on top of that first receiver route arrow + add another arrow coming up from the far right receiver. Next, add 3 more defenders (X’s) on top of the first 3 (as shown above) + one more X on top of the far right arrow. 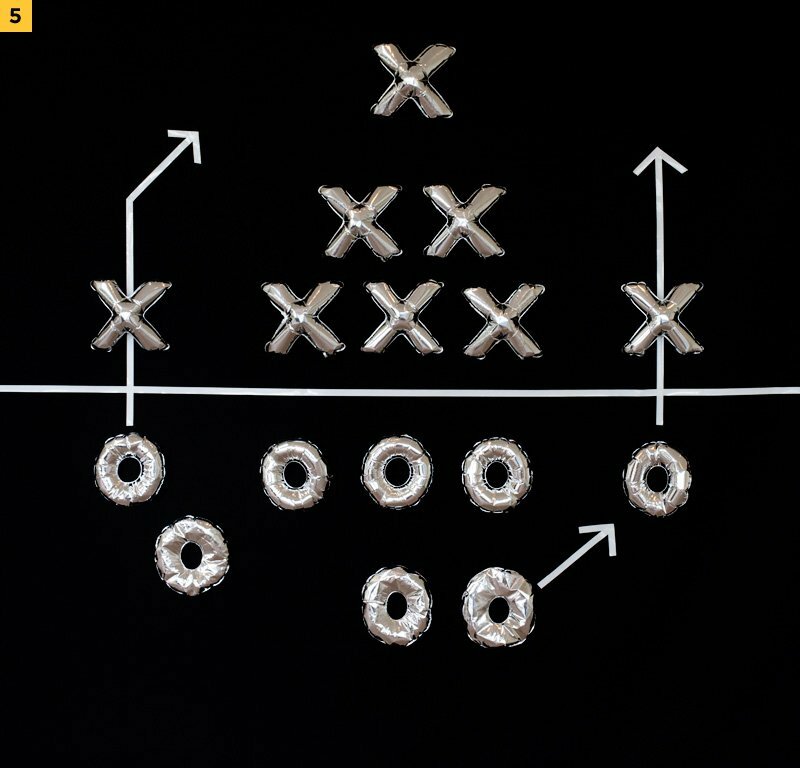 Add a short arrow at the bottom to indicate another offensive route. 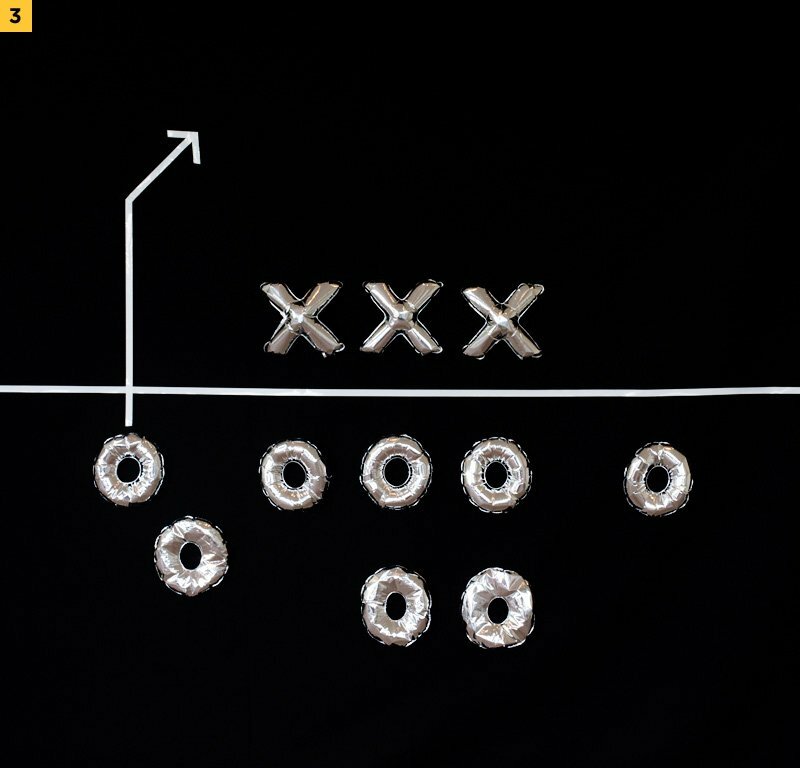 Last but not least, add one more offensive route (arrow) directly inside of the far left arrow. Make this one turn in and to the right for visual interest. 4. 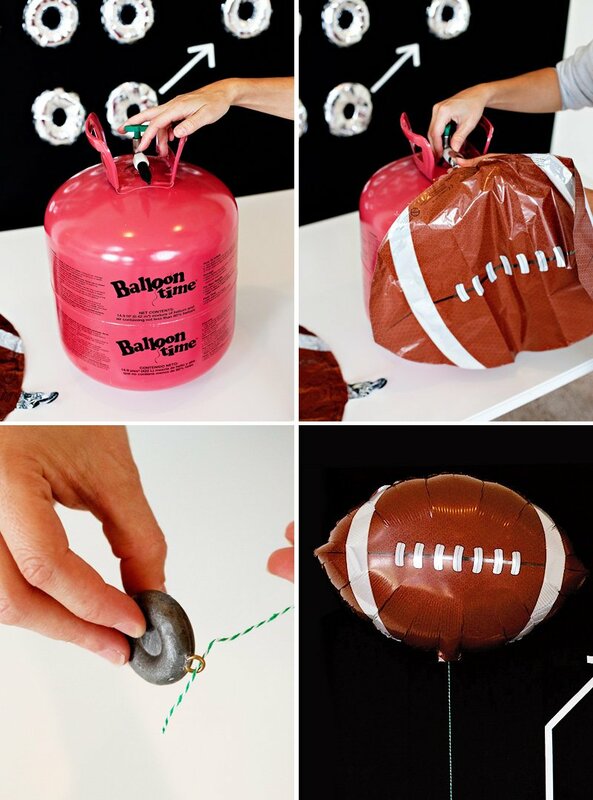 Fill the large mylar football balloons with helium & add green/white striped baker’s twine (or your string of choice) + some sort of weight to keep the balloons in place. 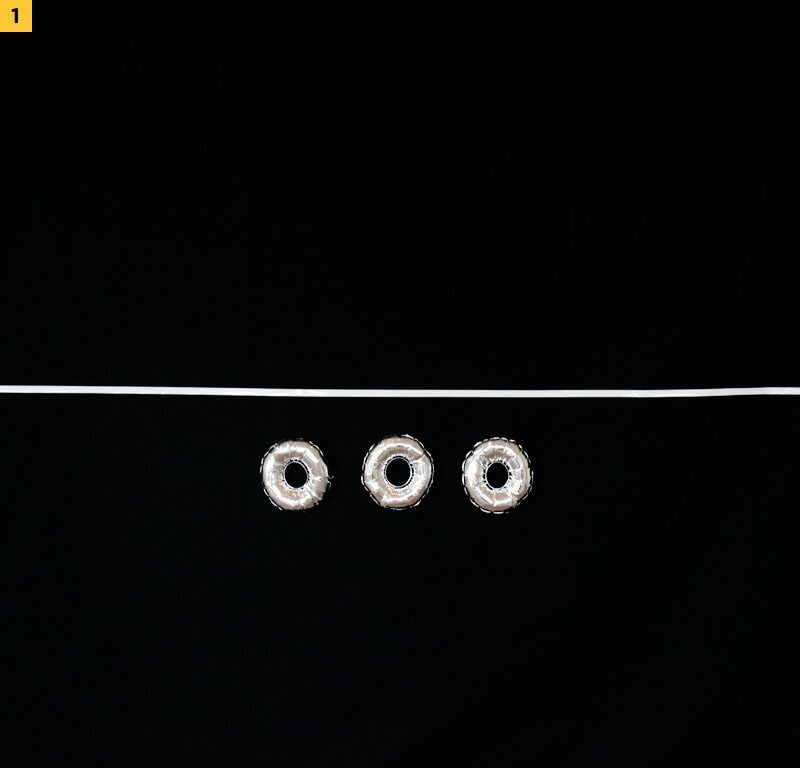 I like to use these fishing sinkers as balloon weights. Disclosure: This post is sponsored by Balloon Time. As always, all thoughts and designs are my own. 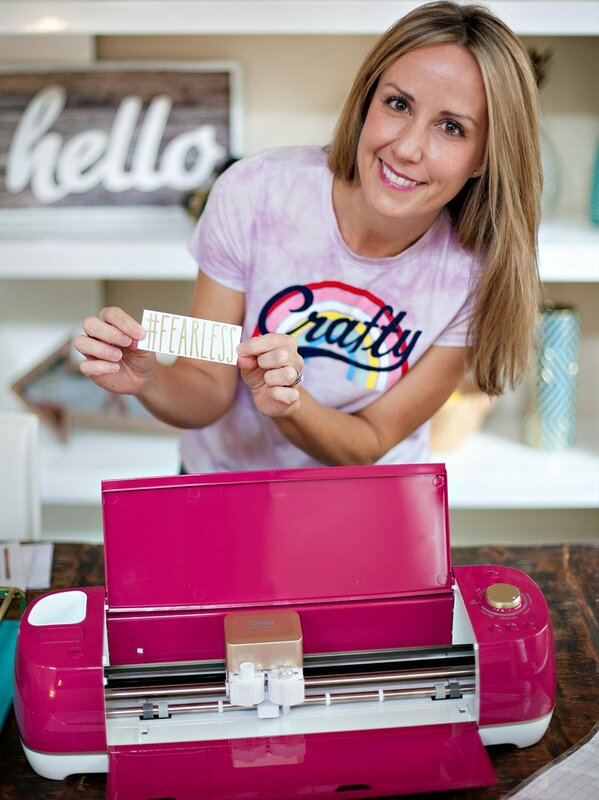 Thank you so much for supporting the companies that make it possible for me to keep the creative content coming your way. Awesome idea. 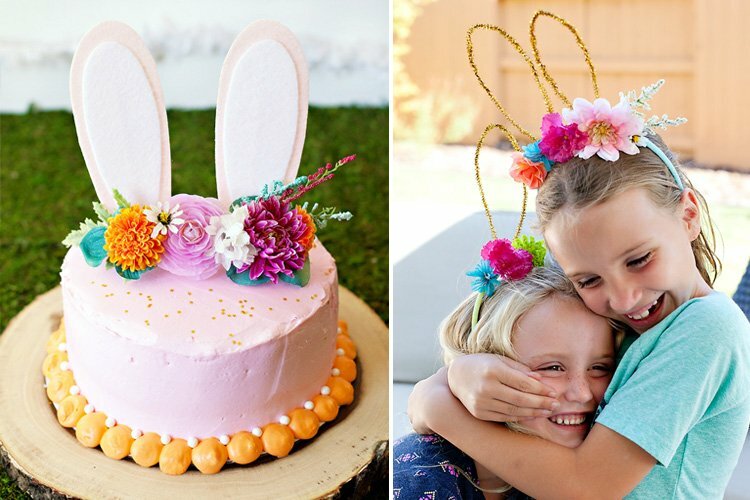 I think this would be great for parties people would be asking how did you do that! 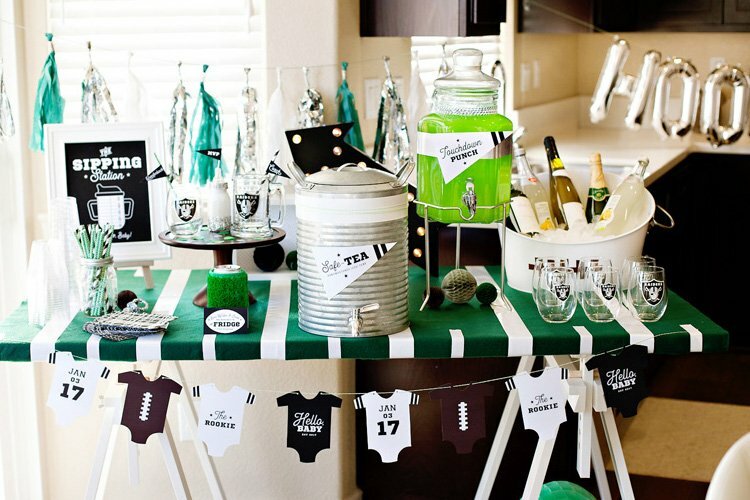 Thanks for sharing this fabulous idea great time with the super bowl approaching! Where did you purchase the small X O balloons from?